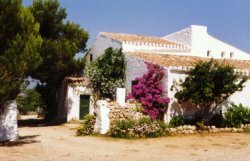 VILLAS AND APARTMENTS TO RENT IN MENORCA, SPAIN. 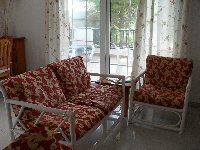 Welcome to our selection of holiday homes to rent in Menorca, Spain. The enchanting island of Menorca (Minorca) is the second largest of the Spanish group of Balearic Islands located in the Mediterranean Sea. The tranquillity of traditional Menorca has not been whisked away with the arrival of tourism and its great charm and character make it an ideal place to take a peaceful and relaxing holiday allowing you to get away from it all. With a great selection of places to eat, drink and enjoy yourselves, and many attractions to take in for a day out and about, Menorca has something for everyone. Looking for self catering holiday accommodation in Menorca? Then below is a selection of holiday apartments in Menorca and holiday villas in Menorca that can be rented direct from their owners. You can either click on each listing for further details or you can use our search engine on the left if you are looking for something in particular.